Ricardo Ambrózio is a dancer with technical trainning in hip-hop, capoeira, different rhytyms of ballroom dance, Ballet, Jazz and Contemporary, he uses his larger and unusual approach of the body to analyze and build up his own style and didactic, bringing together mixed styles of forró. 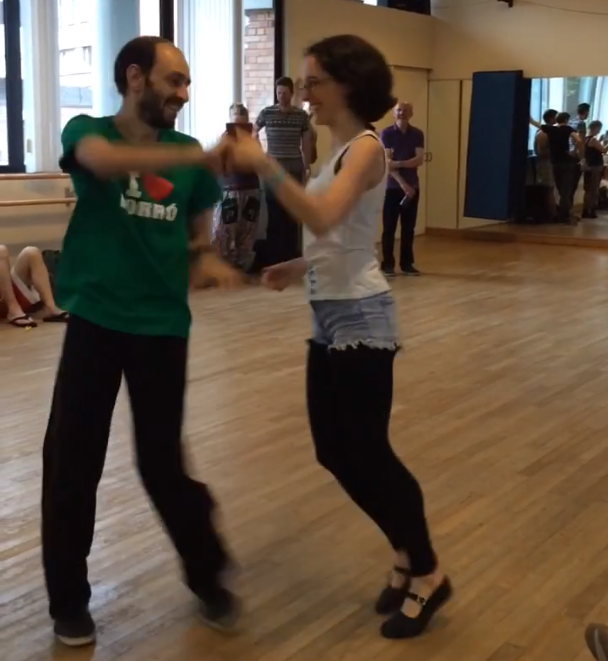 Sarah Collings fell in love with forró while living in Milan and she hasn’t looked back since. She has travelled all over Europe and to Brazil to study with different teachers. 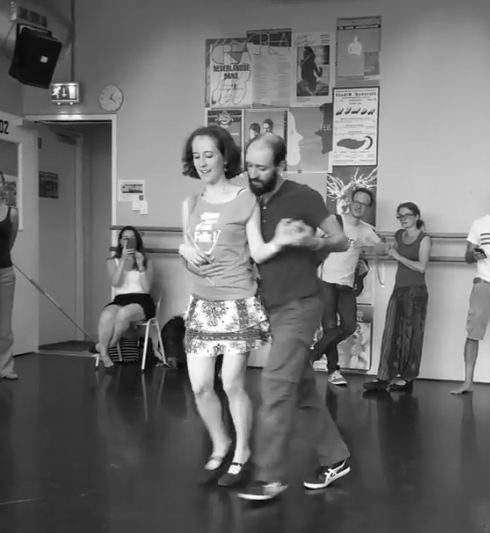 When she arrived in Brussels in 2013, she discovered forró was almost unknown there. She quickly started to contribute to the organization of workshops and other events in Brussels, and has developed a now rapidly-growing community of forrozeiros. Building on her experience in sports and language education, she started teaching classes in Brussels in 2014, and now teaches four different levels weekly. At festivals, Sarah has taught and performed with Ricardo Ambrózio, gaining crucial insights into the technical and creative aspects of dance and developing her own style and approach. She has also worked with Bruno Prado and Enrique Matos among others, broadening her horizons and her understanding of dance. Sarah believes that, above all, forró is about connection and community. Her classes emphasise the importance of listening, connection with our partner, and musicality - all while having fun! Together with Ricardo and Martina Ambrózio, and Thiago Lima, Sarah organises the festival Ai Que Bom Brussels, now in its fourth year.